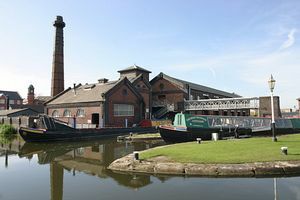 With its delightful waterside setting, flotillas of historic boats and fascinating displays housed in a fine collection of Victorian buildings, the National Waterways Museum is a great day out whatever the weather. Walk across towering locks, watch swans and wagtails beside the canal basin and explore a world of warehouses, docks, stables and pump houses. Our collection of narrow boats, barges, ice breakers and more is the best in the world. Take a boat trip, pay a visit to our blacksmith, watch a narrow boat come in to moor and swop stories later in the Waterside Café. 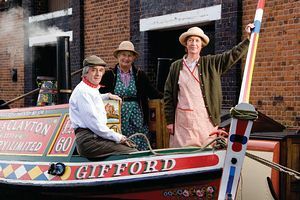 There's lots for all the family to enjoy at National Waterways Museum, plus check our website for details of special events and school holiday family fun activities. Situated adjacent to junction 9 of the M53, Ten minutes walk from Ellesmere Port Railway Station. No. 3 buses from Chester and Birkenhead pass close by. There is free car and coach parking. Fifteen minutes by car from Chester.